Published: Dec. 30, 2018 at 01:31 p.m. Published: Dec. 23, 2018 at 09:18 p.m. Published: Nov. 25, 2018 at 04:54 p.m.
New England Patriots running back James White sprints up the middle for a 24-yard gain. 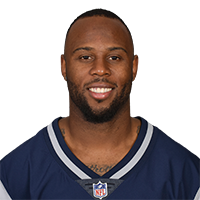 Published: Nov. 25, 2018 at 03:21 p.m.
New England Patriots running back James White takes off down the sideline for a 27-yard gain.